We are listening and learning about better ways the Attorney General can assist small businesses. We are meeting with businesses, trade associations and business groups in every corner of Vermont. We will work to solve problems that small businesses perceive. We cannot provide legal advice, but we can provide small businesses with information and answers to common questions. Doing your due diligence before making a financial commitment to a commercial space is imperative to avoiding unexpected and unwelcome surprises. Use your community of resources to get quality information before you commit. Talk to your local zoning administrator. Email ago.smallbusiness@vermont.gov or call 800.649.2424 for contact information. Talk to the Division of Fire Safety. Talk to your regional permit specialist at the Agency of Natural Resources | Department of Environmental Conservation. Get a Phase I Environmental Site Assessment, conducted by a qualified environmental professional. Request that the assessment meets the most recent ASTM E1527 13 standard. There is assistance available to fund this assessment, and you can find more information here. Other resources may also help you avoid unexpected costs, such as an experienced commercial real estate broker, a commercial real estate attorney, a commercial lender, an accountant and a civil engineer. Finally, consult an attorney to see if permit acquisition for your use and occupancy should be a contingency in your lease contract or purchase and sale contract. If you get assistance early and often from these knowledgeable sources, you can determine time, cost and feasibility for acquiring municipal and State permits – in turn avoiding unexpected expenses and unanticipated and uncontrollable delays. Working with a variety of stakeholders, CAP has compiled this list of resources for some of the most pressing concerns in the agricultural industry. Know a link or issue that should be included? Email AGO.smallbusiness@vermont.gov. Employers are not permitted to ask about a job applicant’s criminal history on an initial employment application form. This gives fair consideration to promising candidates with a criminal history. TJ was a strong advocate for this law, which is in line with his criminal justice reform ideals. If your business is interested in giving folks another chance -- check out our plain language information. Working Fields LLC is another excellent resource, and you may be eligible for the Work Opportunity Tax Credit. Here is the complete Fair Employment Practices statute. If your business is fundraising for a cause, you must be sure to clearly state the charitable organization's name, the amount that will be donated, and if there is a maximum donation amount. Examples and additional information can be found on this website. Here is a link to the complete cause-related marketing statute (see Subchapter 6). Vermont allows employers to test current employees for alcohol or drugs only in very limited circumstances, where the employer has in place a detailed and specific set of protocols and procedures. Random drug testing is explicitly prohibited. Check out our plain language information on drug and alcohol testing, written for employers. Here is the complete drug testing statute (see Subchapter 11). The most common complaints received by CAP from business consumers are for credit card equipment leases. In the typical credit card equipment lease, businesses end up paying thousands of dollars for equipment worth hundreds of dollars. You have a right to cancel every sale made either in person or by phone within three days of the sale. The seller must provide you with notice of this right. If you did not receive such notice, then you may cancel your lease at any time until that notice is provided. Vermont businesses seeking more information can check out our plain language information, and here is the complete three day right to cancel statute. A bill regarding credit card equipment leases is currently making its way through the Vermont legislature. The bill, S.206, has been voted out of the Senate, and is currently being deliberated by the House Committee on Commerce. If your business issues gift certificates or gift cards, they cannot expire sooner than five years from being issued. The expiration date must be printed on the certificate or card. Upon expiration, the remaining value must be refunded. There are exceptions for certain kinds of promotional gift certificates. If no expiration date appears, then the law treats the certificate or card as not having an expiration date. Here is the complete Gift Certificates statute. You've established a business as a sole proprietor in Vermont. Even better - you're growing and need to hire your first employee. We've put together the steps you need to take to comply with Federal and State laws. Businesses are also encouraged to speak with an accountant and/or attorney to assure compliance. These folks can also help with best practices and policies for: the hiring process, personnel issues, recordkeeping and insurance. We are pleased to announce a new Landlord Restoration Program in partnership with the Vermont Department of Health. The goal of the program is to provide information and resources to landlords to help restore them to compliance with Vermont’s lead-safety laws. More information can be found here, and you can download the enrollment form by clicking here. Vermont businesses are required to offer nursing mothers time and private space to express breast milk for three years from the birth of their child. Employers seeking more information can check out our plain language information, this quick-reference factsheet, and solutions sorted by industry. Employers cannot discriminate against an employee who exercises her right. If this right is violated, employees can contact the Attorney General's Civil Rights Unit at 802-828-3657 or 888-745-9195. Here is the complete Nursing mothers in the workplace statute. Employers must accrue paid sick leave for all employees--at least one hour of sick leave for every 52 hours an employee actually works. It can be used for the employee or their family, during illness, for obtaining health care or long-term care, traveling to an appointment, or addressing the effects of domestic violence or stalking. Employers seeking more information can check out our plain language information. Here is the complete Paid Sick Leave statute. Employers are required to make reasonable accommodations for pregnant employees. Examples of accomodations include permitting additional breaks or providing equipment to fulfill essential functions of the job. Employers can check out our plain language information for additional details. Here is a PDF of the bill as enacted, and this site will link to the online statute when available. Are you a business owner with questions about the new marijuana laws that take effect July 1st? Our office released guidance aimed at assisting employers in navigating Vermont's new recreational marijuana laws. We welcome public input on the new guidance to ensure employers and employees have a fair chance to comply with their legal obligations and exercise their rights. Comments or questions should be directed to our Civil Rights Unit at ago.civilrights@vermont.gov. Here is the complete Act 86 (An act relating to eliminating penalties for possession of limited amounts of marijuana by adults 21 years of age or older). 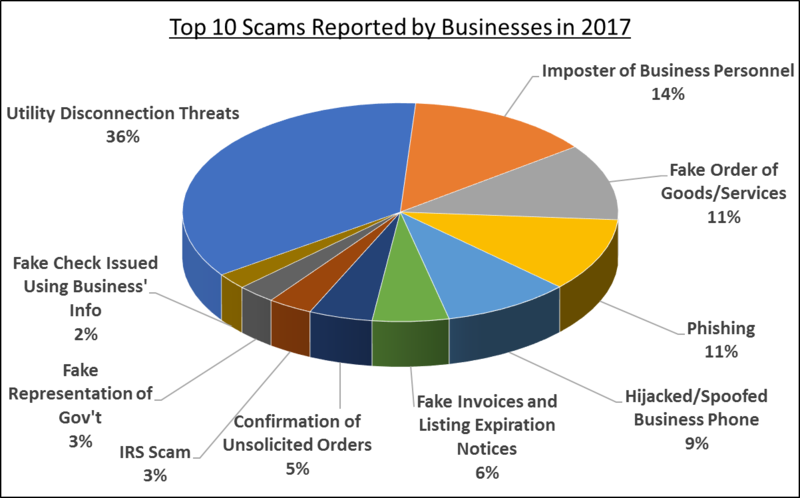 Vermont businesses regularly report scams, including utility disconnection threats, unsolicited/fake invoices, fake orders of goods or services, imposters of business personnel, and IRS debt collection scams. It is important that businesses establish internal processes to ensure any payments are being sent to valid sources! Check out our Stopping Scams page for more information. If your business suffers a security breach, you must notify the Attorney General within 14 days of discovery and the affected customers within 45 days of discovery. You can notify the Attorney General via email to AGO.DataSecurity@vermont.gov or by telephone 802-828-5479. There are a handful of additional requirements and we are happy to walk you through them. Download the #WhatTheHack presentation from Tech Jam on 10/20/2017. Here is the complete Vermont Security Breach Notice Act. There are an increasing number of commercial loans available to Vermont businesses. A number of commercial lenders offer "quick loans" or "EZ cash" via the internet (or use spam email, pop-up ads, or text messages). In some instances, the company may be soliciting commercial loans on behalf of a lender. Here in Vermont, commercial lenders and loan solicitors are required to be licensed, or otherwise exempt from licensure AND must clearly state rates, terms, and conditions. Here is information on how to protect yourself from illegal loans. Employees are under no obligation to share their personal, social media accounts with their employers. Employers cannot require employees or job applicants to: access social media accounts in front of them, “friend” or “follow” them, or adjust account privacy settings in order to make posts publicly visible. Employers can require social media access that is mandated by law and for certain bona fide investigations. Here is the complete statute. If you received a product you did not order, you can refuse the delivery or dispose of the product without obligation to the seller. Conversely, if you receive a document that looks like a bill, invoice, or statement of account due, but is really just an offer to sell goods or services, then we want to hear about it. Here is the complete Unsolicited Merchandise statute. To qualify as a Vermont product, your item needs to be produced in-state with materials from Vermont and your company must have a substantial presence in the state. Vermont company names are permitted on non-Vermont products if they are accompanied by specified disclosures, so that consumers understand what they are buying. We encourage businesses and entrepreneurs to contact us with questions to assure fairness, compliance and accuracy in promoting brands and products. Here is the complete Vermont Origins rule (see CP120). Have another question you need answered?